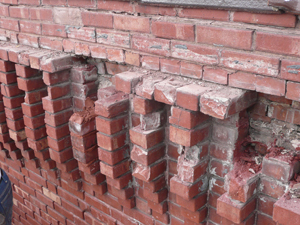 Brown Brothers Masonry can repair, restore or rectify all your masonry problems. We are unique to the Kansas City area with our ability to bring commercial masonry experience to residential customers; as well as offer commercial customers top proficiency. Our team of certified brick experts will evaluate your project and determine the best solution to your brick problems. The comprehensive bid process that is provided includes a break-down of how and why we reached your specific masonry solution. What does Brown Brothers Masonry guarantee? How do you know if your home or building needs masonry repair? 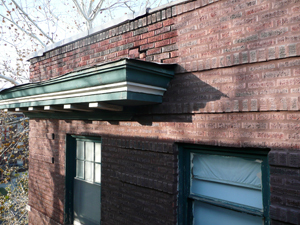 Tuckpointing can be defined as the removal and replacement of mortar between stone, block, or brick. Penetrating moisture weakens the mortar that bonds the masonry units together; it also promotes premature deterioration of your brick. When moisture finds its way into a defect on the brick and freezes, it may cause the brick face to spall (fall off), deflect, or displace. Once this happens, your brick is rendered useless, as it offers no structural support to the masonry structure. Brick replacement becomes necessary when cracks begin to appear on exterior walls of your house or building. Bricks tend to crack due to extreme climatic conditions, physical damages or because of small plant roots. An open crack of cracked brick allows moisture to seep into the wall, which further leads to the formation of mold and fungal growth. Moisture can also damage the overall strength of the wall. The primary goal of a masonry sealer is to stop liquid water from entering a hard masonry surface but also allow any accumulated water vapor to escape before any damage can occur. 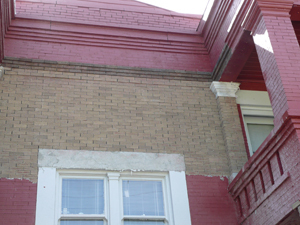 Water can readily damage most masonry surfaces after a few years of exposure. The products Before and After use have been specially formulated to gently and effectively rid masonry of dirt, grime, stains, paints, and other material build-up while maintaining the integrity of the substrate. Before and After uses environmental safe cleaning agents to clean up graffiti without damaging most original underlying paints or masonry surfaces. Environmentally safe and easy to use, it is a clear, non-toxic and biodegradable liquid with an inoffensive odor. 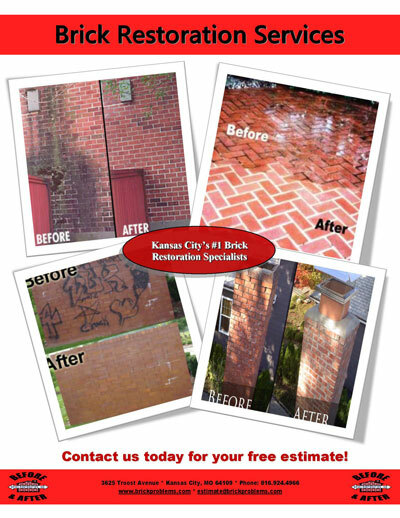 The material is sprayed on the wall and the graffti removed restoring your brick or stone wall to its natural beauty. The masonRE® G Heavy Duty Cleaner is a gel based cleaner for the removal of black staining, dirt, and grime on sandstone, granite, terra cotta and brick. The product is designed for exterior use on buildings and monuments. EIFS is an Exterior Insulation and Finish System. To function properly EIFS needs to be designed and installed properly. EIFS looks like a traditional stucco or concrete, but provides additional insulation for the building. It is primarily used in the commercial industry, but can also be applied to the residential as well. EIFS can also be used to simulate decorative accents where cast stone can not be applied.